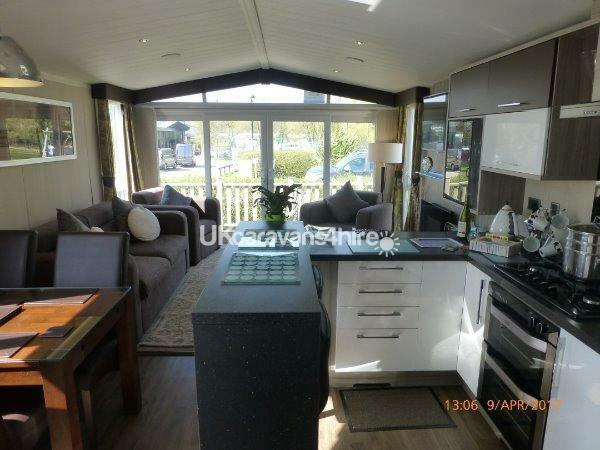 You are looking at Gill and Andy's luxury platinum rated LODGE caravan. 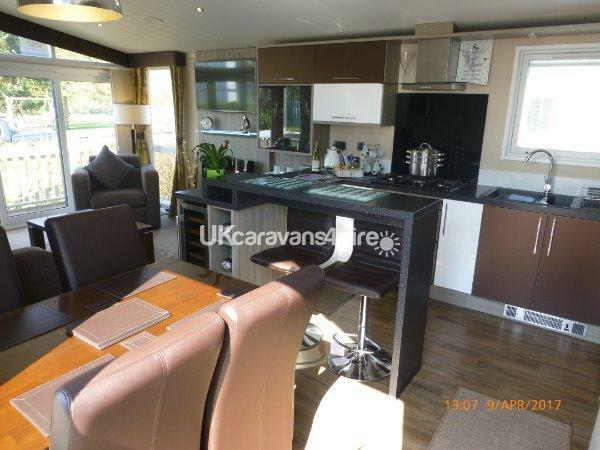 Holiday in style in a lodge caravan in an amazing location. 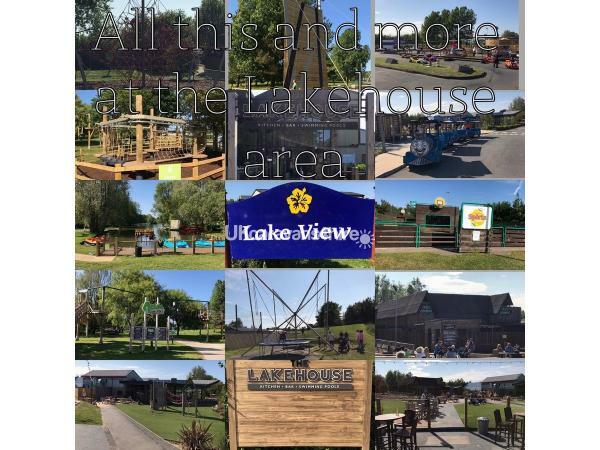 It is located on Lake View which is looking onto the 'new place to be' Lakehouse area where all your daytime activities take place, facing boating lake at Primrose Valley, it is only a 1 minute walk to the lakeside area of park where the swimming pool, boating lake and funfair are located. Below are the highlighted main features that will encourage you to choose a luxury holiday home for your caravan holiday. 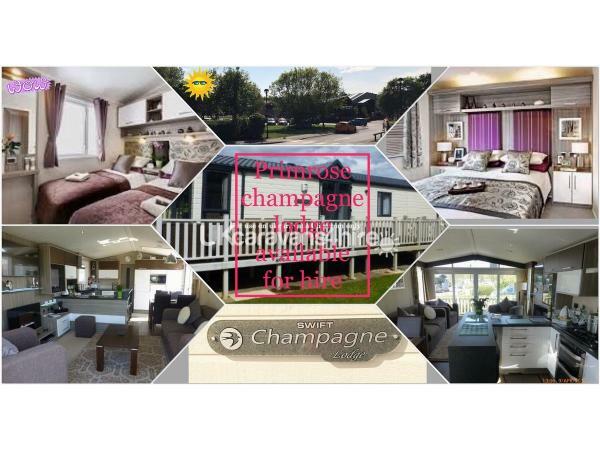 You are looking at the Swift Champagne Lodge caravan which is situated at Primrose Valley Holiday Park. 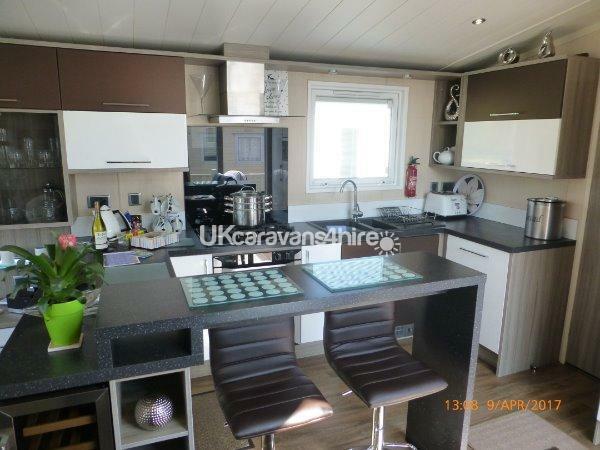 The caravan is a platinum 2 bedroom top of the range model sleeping up to 4 people. 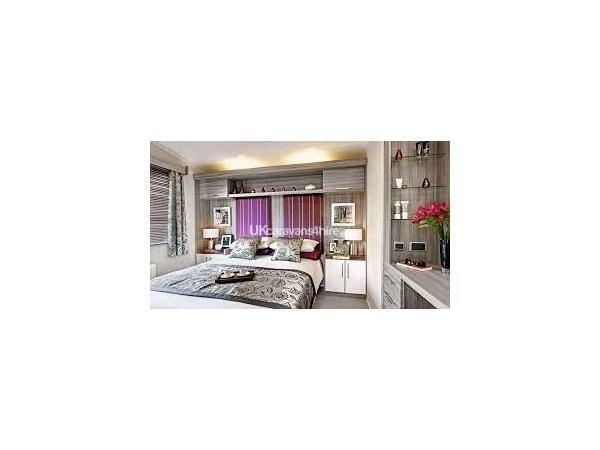 It consists of the following features – upvc double glazing, double wall and ceiling insulation and triple floor insulation and gas central heating. There is a very large upvc balcony attached to the caravan with 2 tables and chairs at the front and side, it is north facing so you can enjoy breakfast, lunch and dinner in the sun whilst overlooking the lake and boating lake. The spacious lounge boasts a large sofa & 2 chairs, digital 36” LCD flat screen TV with free view, DVD and cosy lighting, there are also lots of DVD’s for you to watch, Sky TV is also available with the basic package. The kitchen has a 5 ring gas cooker with extraction hob, fridge, freezer, microwave, toaster, kettle, wine cooler and dishwasher (tablets provided). The master bedroom is spacious and has a king size bed, there is a a built in en-suite with bath and shower , it also has a LCD flat screen TV with free view and a hair dryer. There is a spacious twin bedroom with side lights; in the cupboard we have left many games such as scrabble, trivial pursuit, Pictionary, some jigsaws, dominoes and many others. 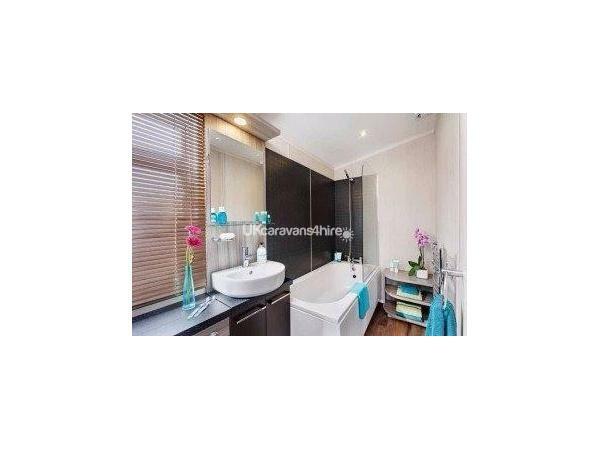 The main bathroom has a shower with thermostatic mixer taps (instant heat), extractor fan, toilet and sink. 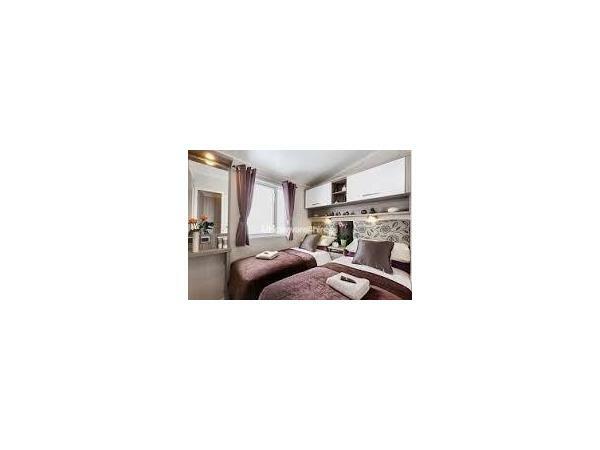 All of the rooms have thermostatic radiators. A 1 minute walk gets you to the mini adventure playground, The main complex is a 10 minute walk which is great at bed time as you cannot hear any of the noise at the caravan. We also have a folder in the caravan recommending takeaways and restaurants for all budgets and tastes. 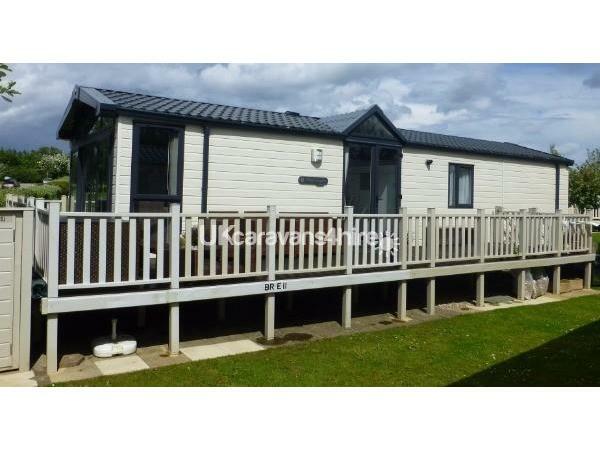 Primrose valley is a fantastic holiday destination, so make your holiday extra fantastic by booking a luxury caravan. Just had a fantastic stay in the lodge for our 25th wedding anniversary, the lodge was everything we hoped for and more .I would highly recommend it . Superb lodge with everything you need for your holiday and added bonus of extra large decking the owners Andy and Gill were great,greeted on arrival and shown round the lodge and shown how everything works which i found good as no confusion how to work everything in the lodge very clean and well equipped we would stay here again. Thank you for your review James, we are so pleased you enjoyed your holiday. I stayed in Andy’s caravan for the May Bank Holiday week with my two young children. The communication with Andy was excellent and he got back with queries really quickly. 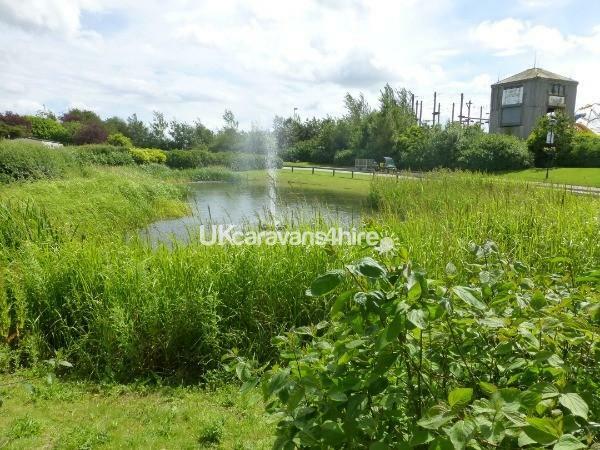 On arrival to the caravan we found it was in an ideal location near the new Lakeside Bar and showground. Despite being close there were no noise issues whatsoever. 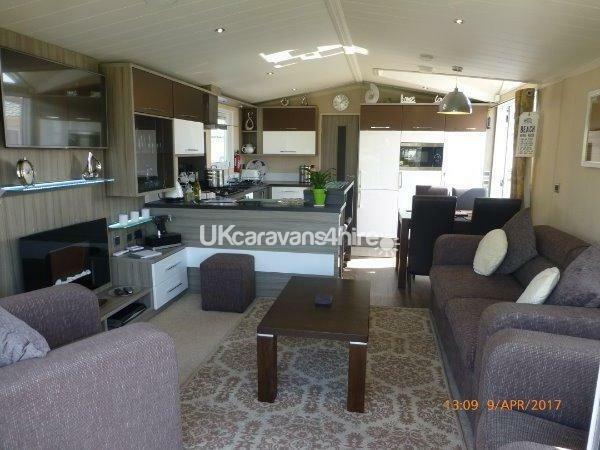 The caravan is stunning and a lot of home comforts and added touches inside which make it a very present stay. 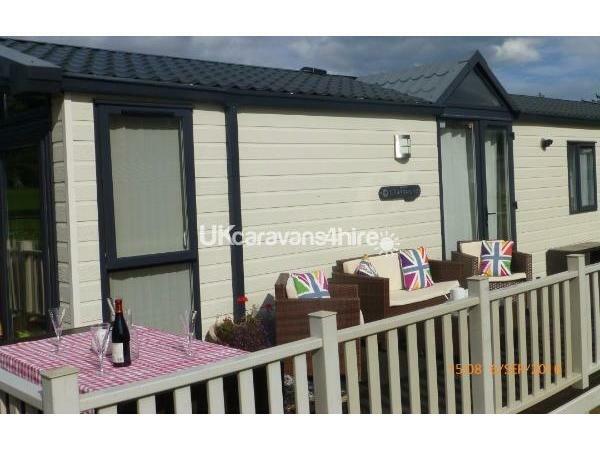 I would definitely consider staying in this caravan again and would recommend others to book the caravan too. Thank you Kim, we are really pleased you enjoyed your stay and thank you for the great review. Andy & Gill.